DreamHost offers all types of hosting plans for bloggers and business alike. From shared hosting to VPS hosting, DreamHost offers a variety of options, although their customer support has some room to improve. DreamHost was pretty popular back in 2007. 1) 100% Uptime Guarantee: It’s likely you’ve heard of 99.95% or even 99.99% uptime. DreamHost is very unusual in that they offer a 100% uptime guarantee, across all their hosting plans, whether shared, VPS, or dedicated. That’s a bold claim, but it’s also clearly stated in their terms of service. A failure to provide 100% uptime will result in you getting compensated. 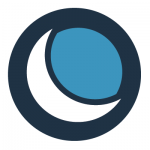 If at any time your website, database, email, FTP, or SSH become unavailable, you’ll receive a DreamHost credit equal to 1 day of service, for 1 hour of downtime. This caps off at 10% of your next pre-paid renewal fee. Understandably, the uptime guarantee doesn’t cover scheduled maintenance, coding or configuration errors on your part. DreamHost considers your downtime to start when you open a support ticket, so the faster you’re aware of your website going down and open the ticket, the better. However this level of guarantee is very attractive to all users looking for a reliable host. 2) 97-Day Money-Back Guarantee: Besides the 100% uptime guarantee, DreamHost offers another unusual guarantee (better than HostGator, Arvixe, and Web Host Hub). Contrary to the industry standard of 30-day, 45-day, 60-day, or even the rare 90-day money-back guarantee, DreamHost has a 97-day money-back guarantee. There are the usual caveats though. The money-back guarantee applies only to accounts purchased by credit cards. Refunds are only available for shared hosting. Domain registrations, SSL certificates, and other extras are not eligible for refund. Still, this unusual guarantee makes DreamHost stand out among competitors and also shows that they stand behind their products with confidence. The combined money back and uptime guarantees provide some of the best customer assurances on the market. 3) DreamPress 2: As WordPress is the world’s most popular CMS and blogging platform, most web hosting companies offer it. Some even go as far as having a customized plan just for WordPress (see the full WP hosting rankings here). But DreamPress 2 takes it one step further by managing WordPress sites on virtual private servers. DreamPress 2 is DreamHost’s exclusive plan for WordPress. While you can install WordPress on regular hosting accounts, DreamPress 2 is specifically optimized for WordPress. It’s hosted on virtual private servers, making WordPress highly reliable and fast. All MySQL databases are hosted on an isolated virtual private server as well. There’s also auto-scaling RAM; DreamPress 2 will dynamically scale your WordPress site’s resources so you don’t have to be afraid of your website outgrowing the available resources. There are websites hosted by DreamPress 2 that see as many as 2.1 million visitors per month. Your files are hosted on 30 GB of SSD storage. You’ll also have access to support specialists who exclusively deal with WordPress issues, via live chat, email, or Twitter. With DreamPress 2, you only have to focus on building and maintaining a very nice WordPress website, while DreamHost handles all the updates, fine-tuning, and backing up your files. People have had issues contacting the support team via chat and phone. Could be a big deal for those that are just starting out and will need to heavily rely on support teams. However, most hosting companies will get back to you if you get their attention via social media, and it appears that DreamHost is active on Twitter. We have checked several online review sources and found that DreamHost customers have had positive experiences with customer support. Not all reviews were positive however. We found some DreamHost customers disappointed with email issues and the control panel. 1) Multiple Options: DreamHost not only offers shared hosting plans, but also managed WordPress hosting, VPS, dedicated servers, and cloud services, so you’ll have many options to choose from. 2) One Free Domain Name for Life: While most companies offer one free domain for only a year, DreamHost offers one free domain name for the life of your account. 3) Unlimited Storage & Bandwidth: You have unlimited storage and bandwidth with your DreamHost plans, provided you adhere to the terms of service. 4) Unlimited Domain Hosting: You can have as many domains (websites) as you want in your account. 5) Cloud Storage Service: DreamObjects is DreamHost’s cloud storage service, so you can use it to backup your personal files or whatever you want. You can try it for free for 30 days. 1) Only Email/Ticket Support: DreamHost doesn’t offer telephone support or live chat, which could be an issue for some people. 2) No cPanel or Plesk: DreamHost has a proprietary web-based control panel, rather than cPanel or Plesk. 3) No Reseller Account: There is no reseller account offered with DreamHost. DreamHost is one of the most well-known and popular web hosting companies, with unusual guarantees. The 97-day money-back guarantee and 100% uptime guarantee show they’re confident in what they have to offer. Other than that, their plans are straightforward and fairly standard. If you’re used to cPanel or Plesk though, you might not like DreamHost’s web-based control panel. A few reviews claimed the panel was not intuitive and was difficult to navigate. If you are a beginner and feel like you may need some hand-holding, the lack of phone or chat support may be a deal breaker, or you may want to go with something cheaper.